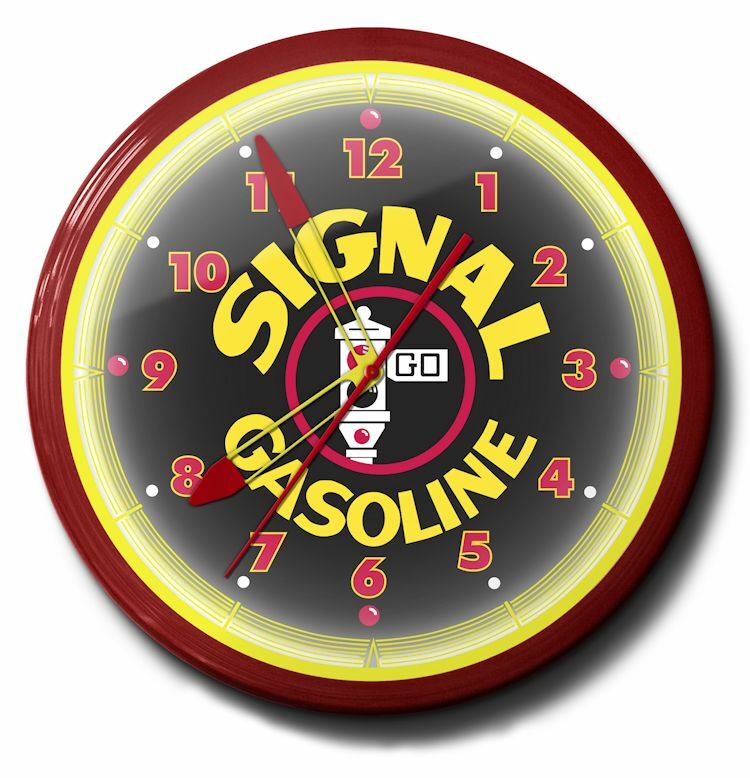 We�ve got a great line of vintage gas station neon clocks, each a tribute to Americana ,when big cars and full service stations sprinkled the landscape with old fashioned charm. A time when a nickel could buy a cold soda from the pop machine, and the kids could get a piece of candy for a penny. 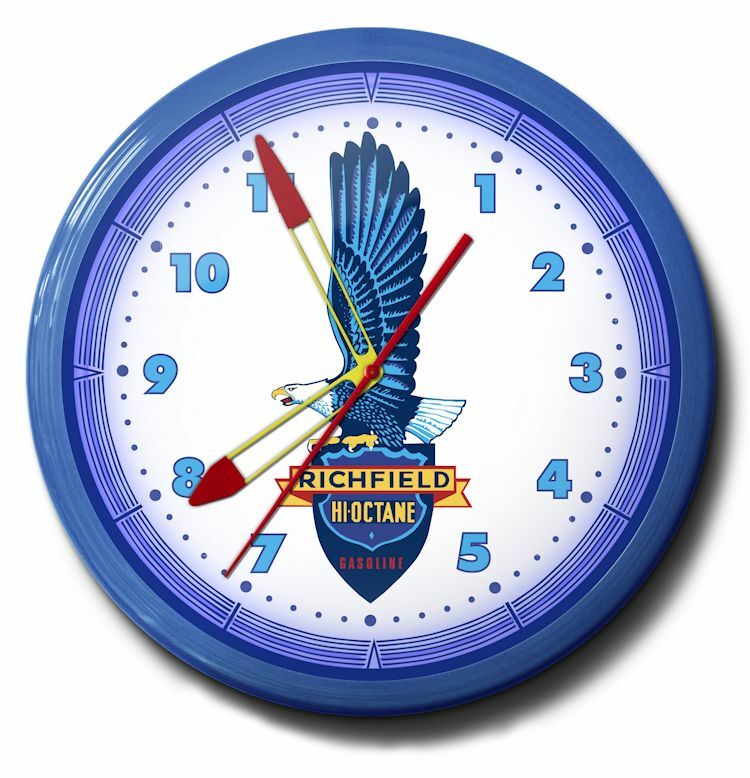 While each clock is unique, all were inspired by the artwork that came out of the �We Use Genuine Chevrolet Parts� campaign. 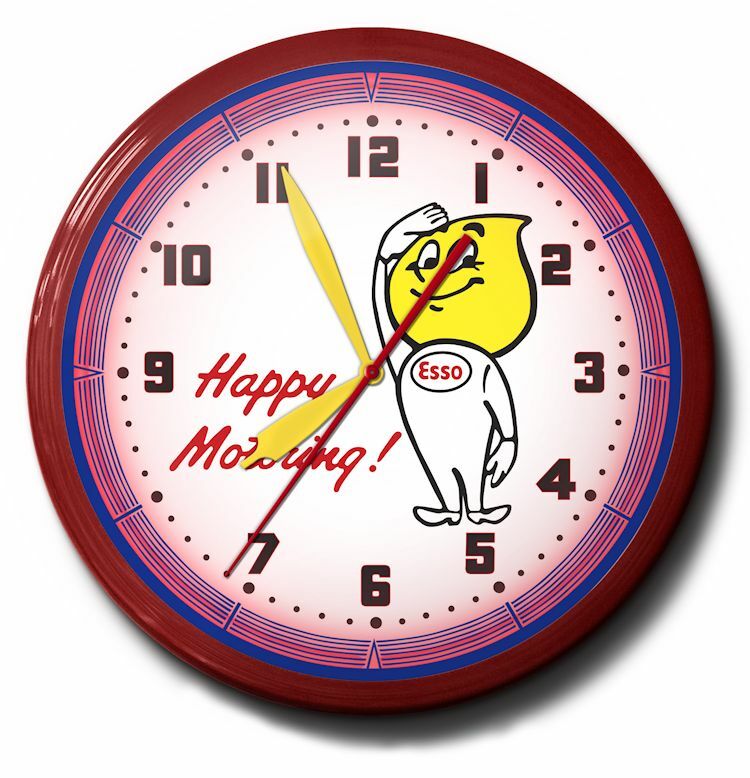 �Happy Motoring� was the slogan for Esso and it adorns that clock alongside the chain�s yellow-headed mascot. 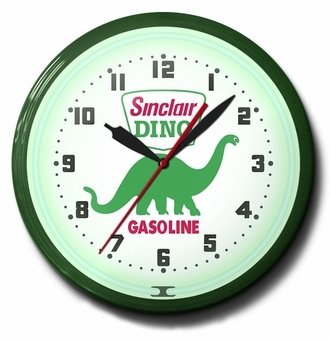 The Sinclair Dino Gasoline is a playful mesh of green and red. 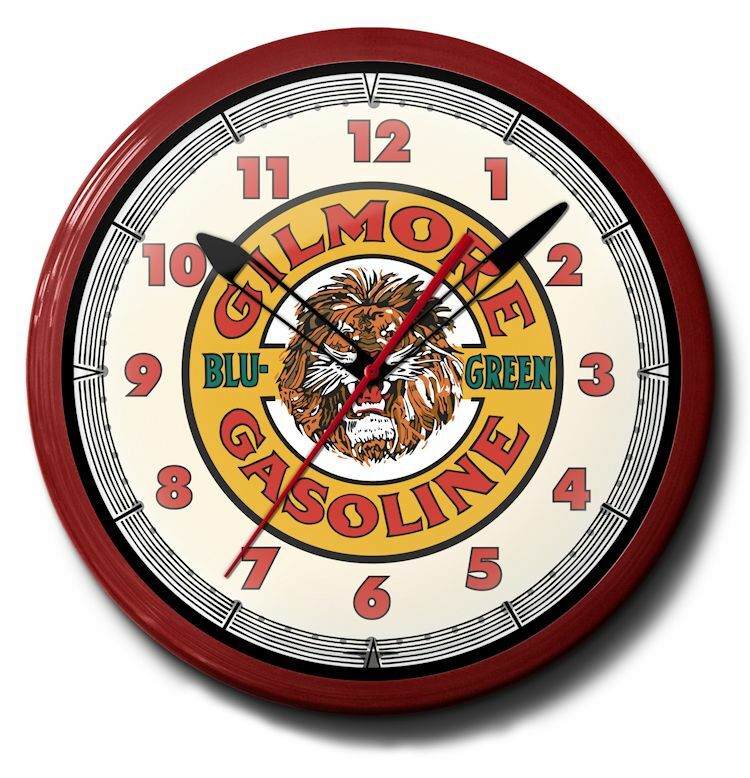 Gilmore Gasoline is emblazoned with its roaring tiger. 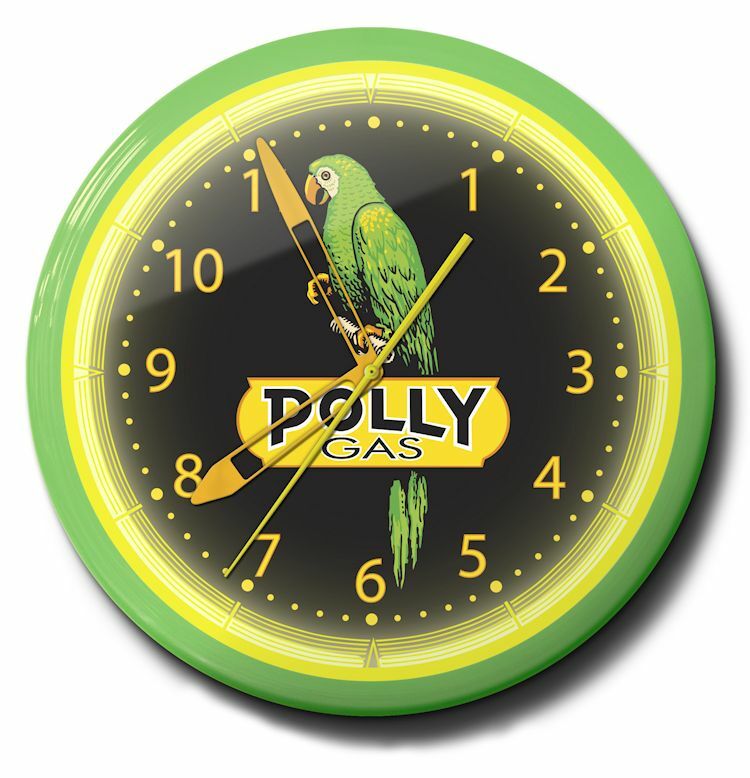 The Polly Gas parrot is surrounded by the station�s signature brightness. Richfield promotes its hi-octane services with a proud eagle. Finally, Signal Gasoline is adorned with that classic GO signal. All the vintage gas station neon clocks have been designed to colorfully coordinate with its classic image. 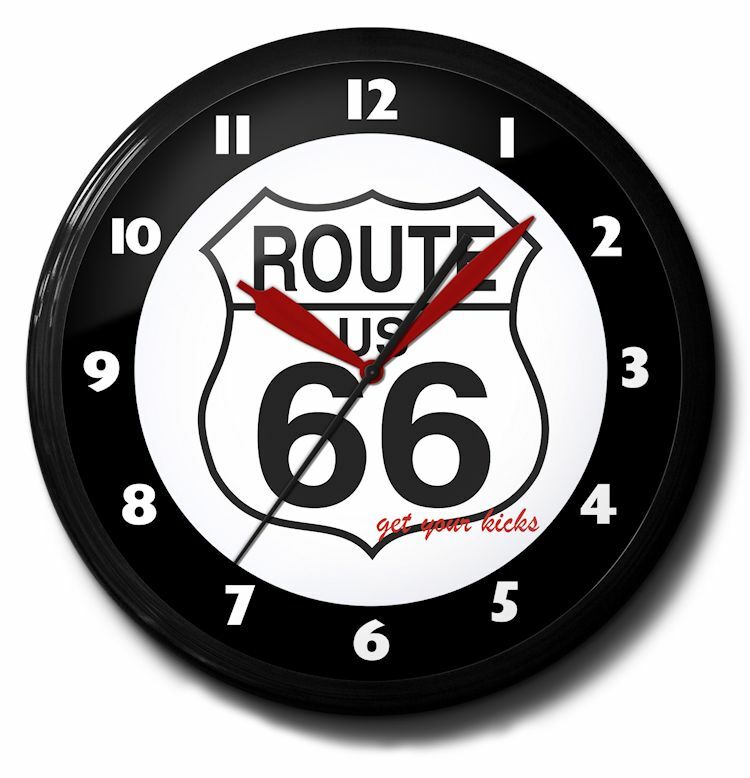 Made in the good old USA by Image Time Neon Clocks, these time pieces are completely hand crafted, the design of highly experienced craftsmen and built with premium materials. Each promises a high-performance, long lasting, soft neon-glow that accents the warm colors. Argon is used to highlight cool colors and other colors are displayed via a phosphorous powder coating inside the tubes that change light waves. The bezel is aluminum spun. At a slender 15 pounds, the clocks are 20 inches in diameter with a depth of 5.25 inches. From glass bordering styles to careful selection of bezel and neon colors, these clocks will beautify your environments for many years. 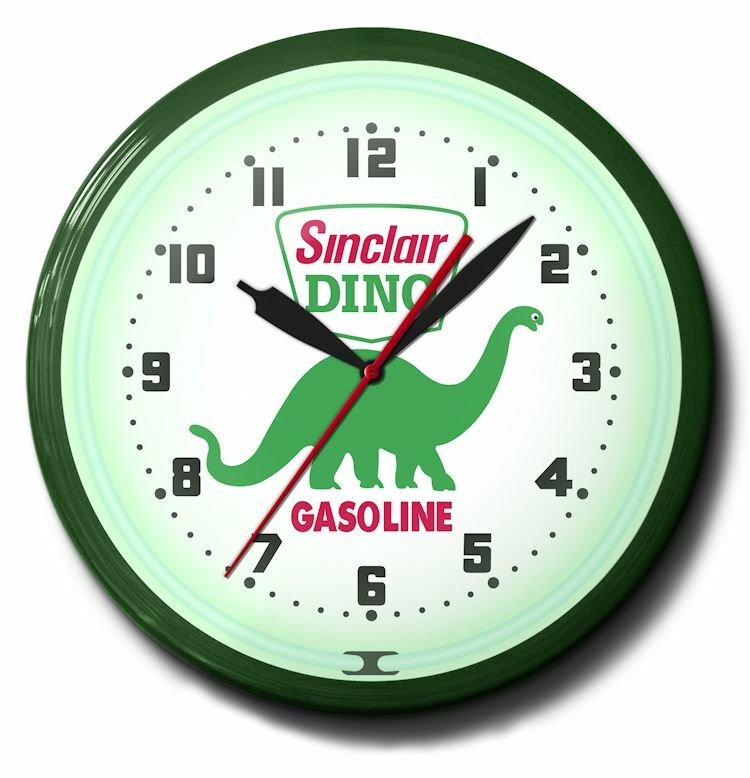 Our vintage gas station neon clocks look great, making excellent gifts or giveaways for tradeshows and conventions. They will be great additions to any home, garage, diner, entertainment center, auto store or office, grabbing the eye of customers, workers and clients.